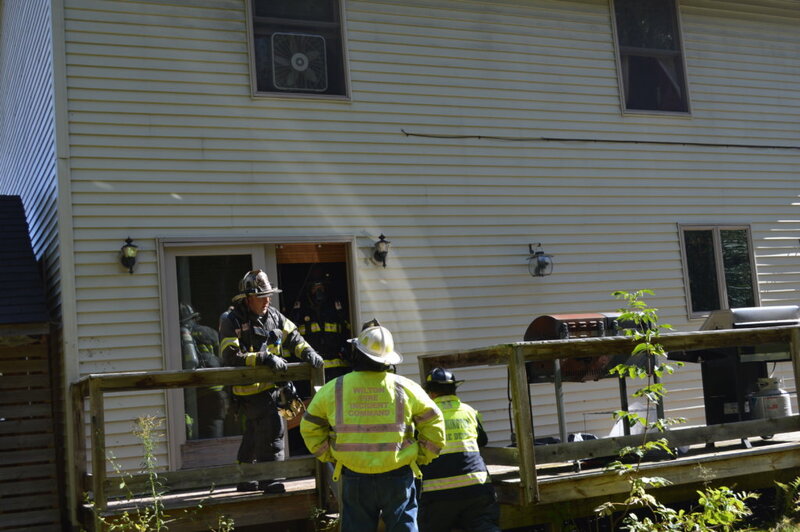 CHESTERVILLE — Fire damaged the basement of a house Wednesday afternoon at 374 Dutch Gap Road. Two cats perished in the blaze and contents in the basement, including valuables and tools, were destroyed, Chief John Archer said. Travis Fletcher, owner of the two-story house with a daylight basement, watched from the backyard as firefighters worked to extinguish the fire. 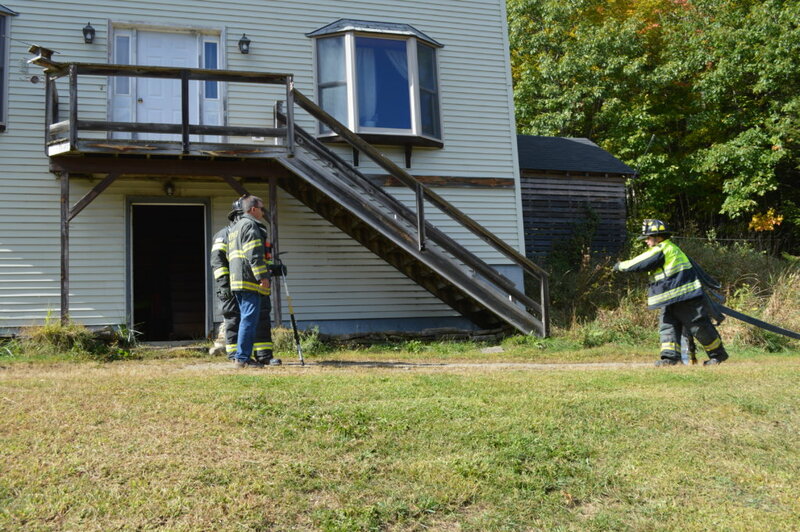 Fletcher reported the fire just after 1 p.m.
A large fan was set up to blow into the entry of the basement to ventilate the building, which is insured. Not long after firefighters arrived, Farmington Capt. Tim “TD” Hardy stepped onto a back deck through a glass door and told other firefighters the fire was pretty much out. A majority of the fire had burned itself out because of lack of oxygen, Hardy said. Firefighters extinguished the rest. 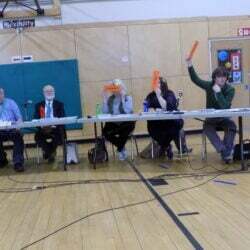 Archer said Fletcher was working in a back room in the basement in a workshop in the morning and was cutting up stuff with a chop-saw and hit a nail that caused a spark. It is unknown if that caused the fire or if it was electrical, Archer said. There was fire damage downstairs, he said. 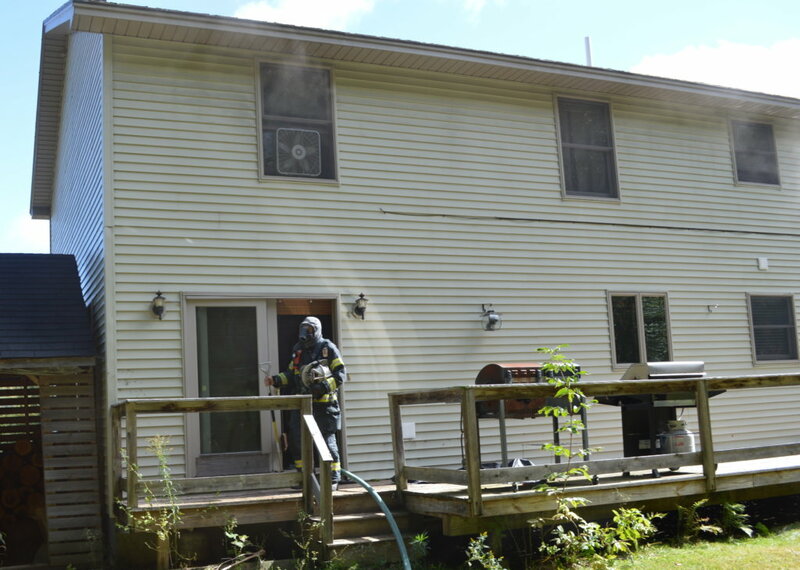 Firefighters were able to confine the fire to the basement. 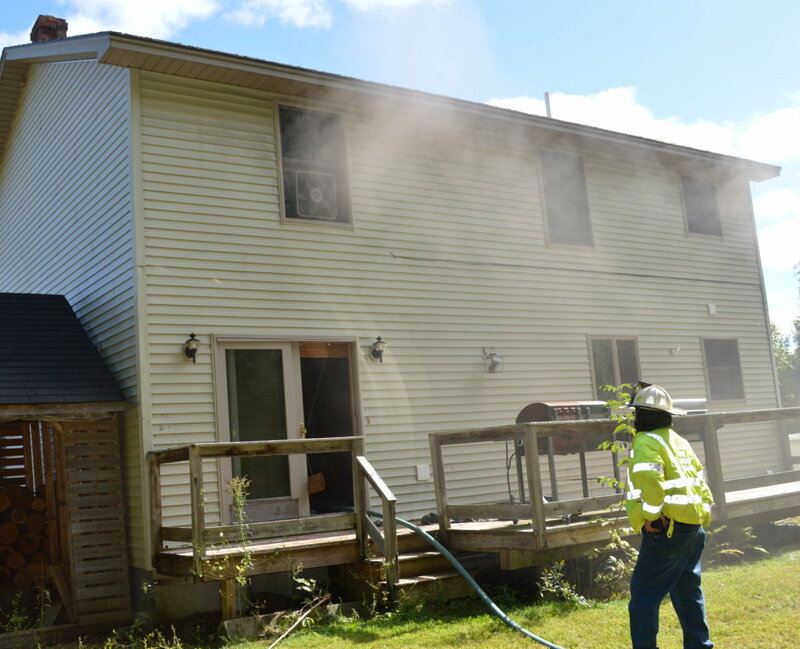 Smoke filled the house and could be seen coming out the second-floor windows. The American Red Cross was called in to assist the family.